In May 2017, two new policy briefs were launched by the World Health Organization to coincide with the Seventieth World Health Assembly. 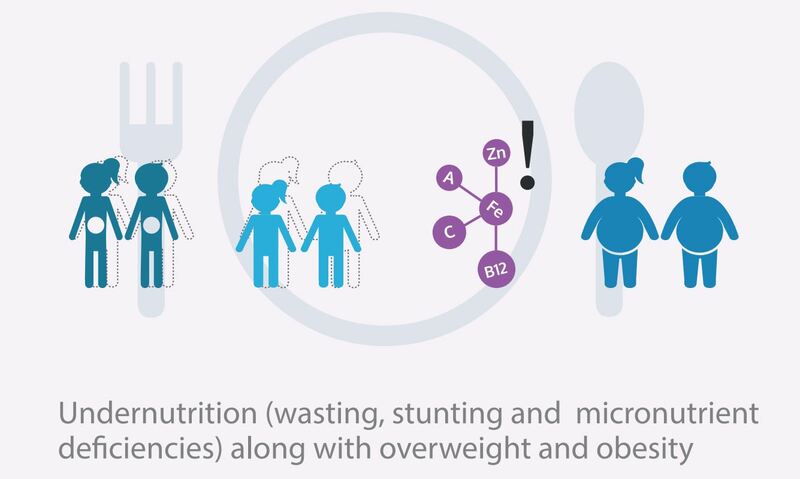 Double-duty actions include interventions, programmes and policies that have the potential to simultaneously reduce the risk or burden of both undernutrition (including wasting, stunting and micronutrient deficiency or insufficiency) and overweight, obesity or diet-related NCDs. Double-duty actions are not necessarily new actions. 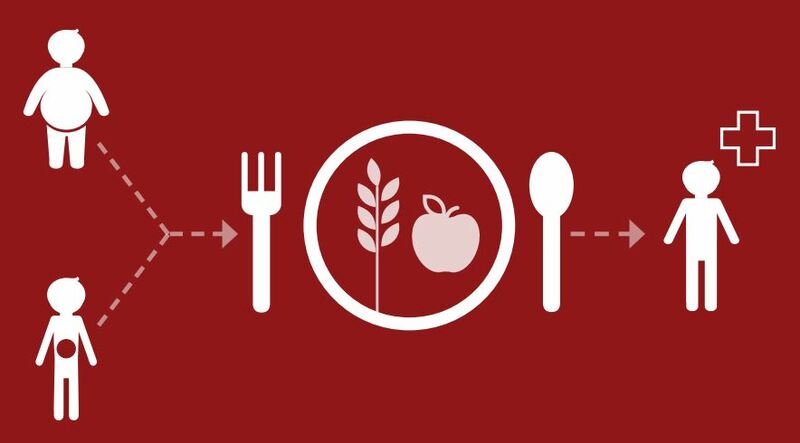 They are often actions that are already used to address single forms of malnutrition but with the potential to address multiple forms simultaneously. 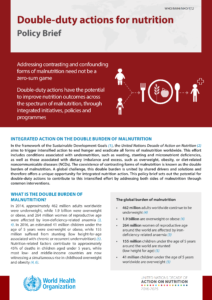 This policy brief sets out the potential for double-duty actions by addressing both sides of malnutrition through common interventions. The double burden of malnutrition no faces many countries worldwide – characterized by the coexistence of undernutrition along with overweight, obesity or diet-related noncommunicable diseases (NCDs). 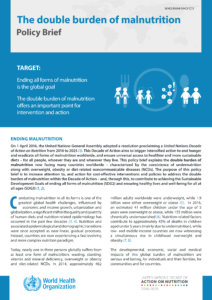 This policy brief aims to increase attention to, and action for cost-effective interventions and policies to address the double burden of malnutrition within the United Nations Decade of Action on Nutrition.